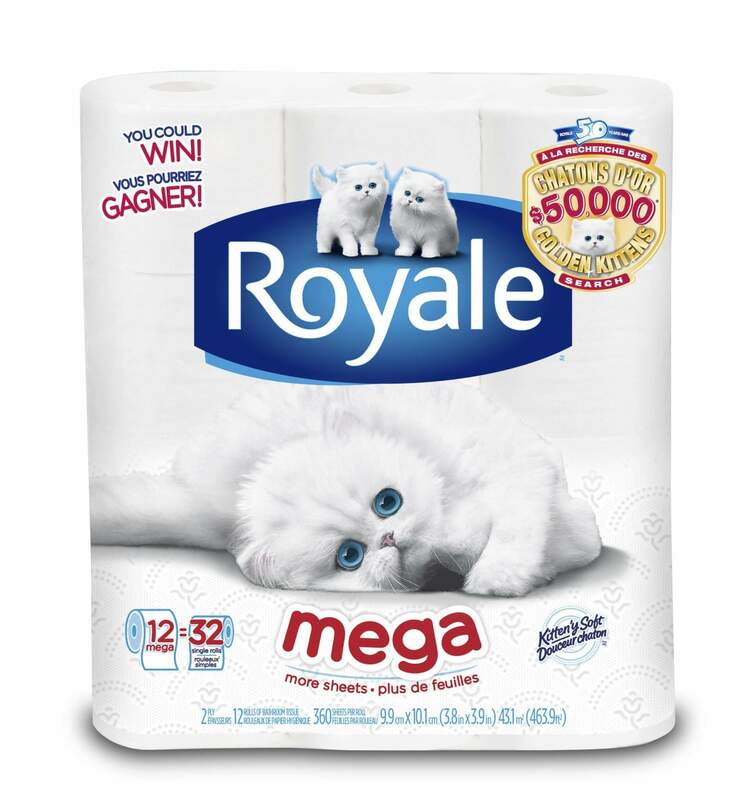 While the Internet has gone crazy over cats of late, nothing can compare to the adorable little ones used in a campaign to help ROYALE celebrate its 50th anniversary. 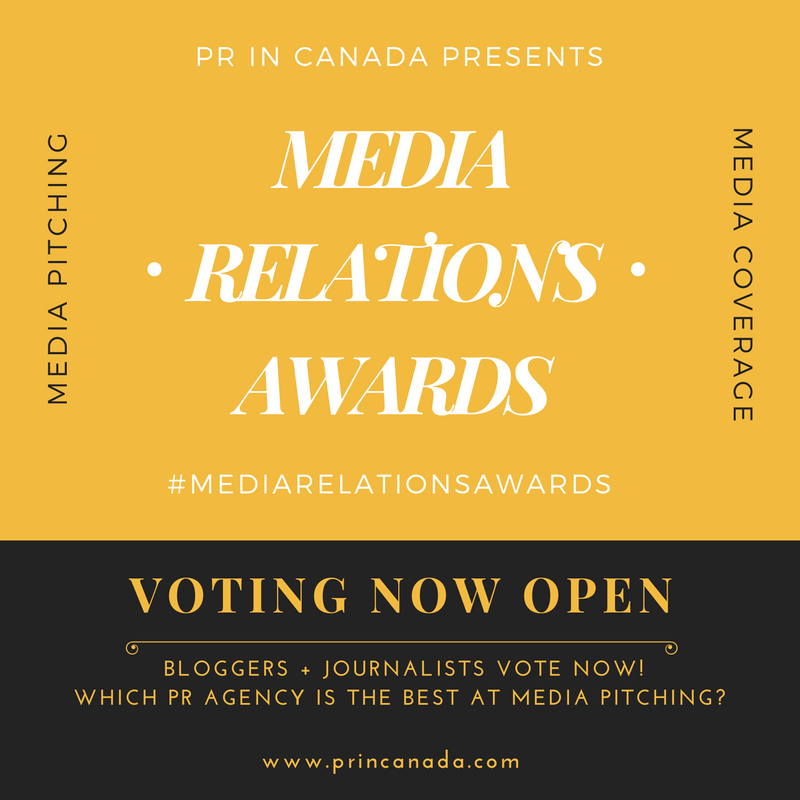 The iconic Canadian brand was launch in 1963 and as part of this major milestone has launched a consumer sweepstakes, commemorative book, and new packaging. 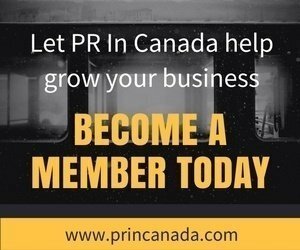 To celebrate the brand’s history and remarkable Canadian heritage, ROYALE is launching a commemorative book in September 2013, which will highlight historical moments for the brand, including the first ROYALE commercial (and one of the longest-running ads in Canadian history) featuring the now famous white kittens and the ROYALE facial tissue ad featuring the nose of Toronto Maple Leaf hockey player, Eddie Shack. To kick off its 50th anniversary, ROYALE has introduced new packaging designs across many of its products. 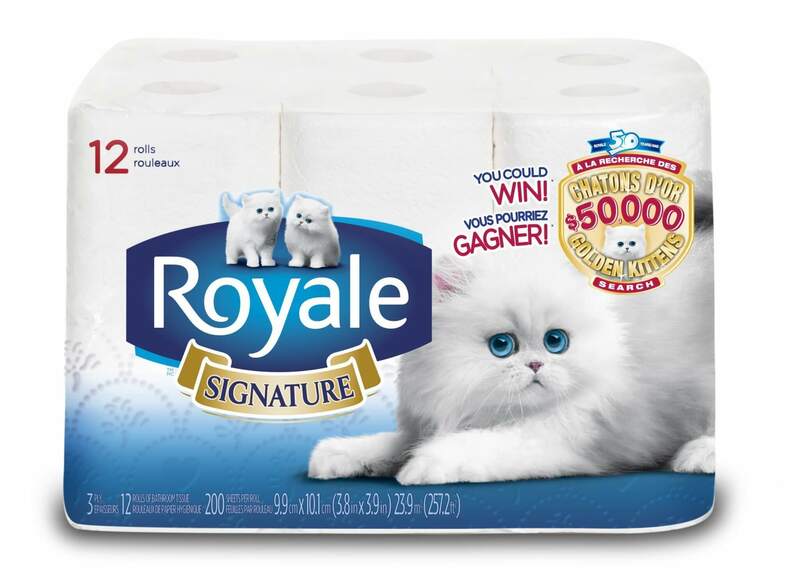 Throughout 2013, ROYALE will also be launching new products and innovative manufacturing technology that will add to the brand’s extensive line of household paper products.